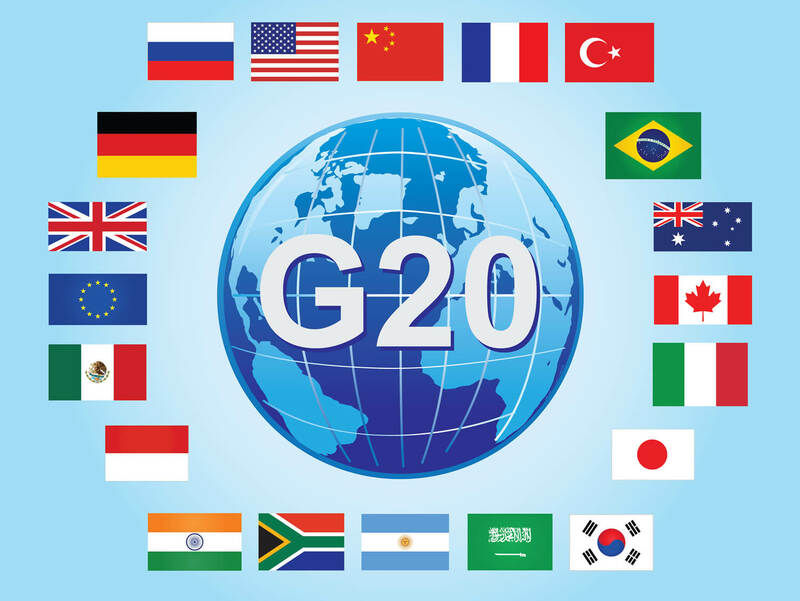 G20 is the premier forum for international economic cooperation and aims towards global economic governance reform. It was initiated in 1999 with the coming together of 20 nations and economic powerhouses. It includes the following countries: Argentina, Australia, Brazil, Canada, China, France, Germany, India, Indonesia, Italy, Japan, Mexico, Republic of Korea, Russia, Saudi Arabia, South Africa, Turkey, the United Kingdom, , the United States and the European Union. Often whenever the Summit is hosted, invitees also include guest countries, the International Monetary Fund, the World Bank, the United Nations, the International Labour Organisation, the Organisation for Economic Cooperation & Development (OECD). 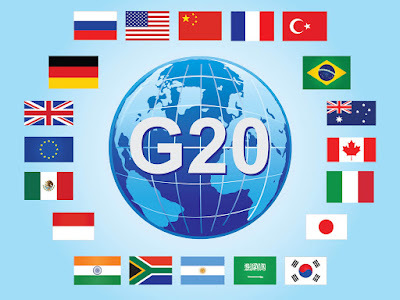 Till 2008, when the global economic crisis had set in, G 20 members would just discuss about world economic development and international financial & monetary policies. Since 2008, when the first summit was hosted in the USA, discussions have veered around more reformative and proactive international economic policies. The Summit this year was inaugurated on the 4th of September 2016 with ample fanfare along with spectacular fireworks and cultural performances, the grandiose that’s associated with China, was in full display. It’s a two day summit and culminated today on the 5th of September. This is the 11th Summit which is being hosted in Hangzhou, China under the leadership of Xi Jinping. China has made “Trade” the theme of this year’s summit. World Trade Organisation is predicting this year’s global trade growth to be a very sluggish 2.8%, the fifth consecutive year with rate below 3%. Ironically, while China is the host, there are ample noises against the host for a majorly bloated steel industry leading to over production and for inundating the world market with low-cost steel, thereby adversely affecting production capacities of other countries. India’s priority this year is to work towards Trade Facilitation Agreement for Services as also to be the voice of developing nations who need to be provided with level playing field. Separately PM Modi has had individual meetings with heads of almost all nations till now, including UK PM Theresa May, Saudi’s Deputy Crown Prince and French President Francois Hollande. In addition PM Modi has been busy building international opinion on anti-terrorism measures as well as on Pakistan’s increased role in acts of terrorism. He even brought up the controversial China Pakistan Economic Corridor (CPEC) which would be passing through Pakistan Occupied Kashmir (PoK). Terrorism was the central theme in his bilateral discussions with Chinese President Xi and Australian PM Malcolm Turnbull. What do Indian’s expect from this Summit? forefront to be able to benefit, however minuscule.